Despite portraying himself as a ‘state capture buster’, Gordhan was an ‘ardent supporter’ of Zuma, Tom Moyane’s lawyer alleged. Public Enterprises Minister Pravin Gordhan was racist and condescending when he sacked SA Revenue Services (Sars) commissioner Tom Moyane, and could further face treason charges, heard the state capture commission of inquiry on Wednesday. Advocate Dali Mpofu, for Moyane, applied for leave to cross-examine Gordhan at the commission after the latter implicated him in his testimony last year. Gordhan is opposing the application, on the grounds that Moyane was advancing the Economic Freedom Fighters’ (EFF’s) political campaign against him. Mpofu is also chairperson of the EFF. Gordhan, who has twice been the finance minister, was at the centre of state capture, said Mpofu. “My version is that Minister Gordhan’s affidavit is more significant for what it omits than what it says. The omitted facts will give a truer picture of what went on behind the scenes in the state capture project. The truth was that Mr Gordhan was an ardent supporter of [former president Jacob] Zuma and was in fact twice entrusted by him into what is according to Gordhan himself, the most strategic ministry in the state capture project,” Mpofu said. He added that Gordhan has lately fashioned himself as a “state capture buster” although he was appointed finance minister twice by a state capture “kingpin” – referring to Zuma. “We seek to demonstrate that the level of acrimony, hostility, and anger harboured by Mr Gordhan towards me [sufficiently disqualifies] him as an impartial commentator on any of these issues. The documented and unchallenged history of racist and abuse of power in the hands of Mr Godhan will be provided in these proceedings,” Mpofu read Moyane’s affidavit. He said transcripts of telephone calls between Moyane and Gordhan were before the commission. In one call, said Mpofu, Gordhan told Moyane to “grow up”, which, he said, had racist connotations. 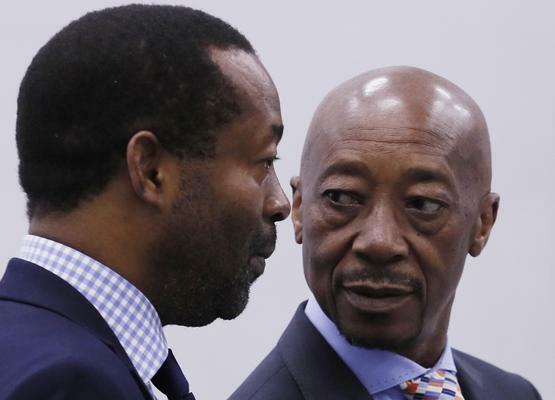 Moyane argues that he did not form the infamous South African Revenue Services (Sars) rogue unit outside the parameters of the law, neither did he improperly participate in the awarding of a multi-million rand tender to a company belonging to his friend Patrick Monyeki, nor did he lie to parliament as accused by Gordhan. Mpofu dismissed the adverse findings against Moyane by the Nugent commission which probed governance and structural failures at Sars, saying that his client was challenging the commission’s report. Referring to a recent report on activities of intelligence officers under Zuma, who allegedly worked to derail President Cyril Ramaphosa’s presidency campaign, and how a parallel state was created using spies, Mpofu said similar illegal activities were done by Gordhan through the rogue unit. “When one takes that report, which incidentally says that the people who were involved in parallel state creation must be charged… I think with treason, something as dramatic as that. Mr Moyane is saying Mr Gordhan was involved in similar conduct in respect of the Sars rogue unit… are we saying the other people who did the same thing must be charged with treason while Gordhan be given a hug?” Mpofu asked. If former president Nelson Mandela allowed himself to be cross-examined in court, so should Gordhan, he said.